- In the month of March 2016, Dr Sukumar from SAKSHAM National Secretary has visited the premises and conducted a motivational session on Service to Special Children. - On 24th April 2016 Sri Panduranga Prasad and Sri Prudhvi from USA have visited the premises and enquired about the needs and assured their support. - In the month of May Dr Srimannarayana from Shreya Foundation, Amalapuram has visited the premises and appreciated the good work done by the management and enquired about the National Trust projects in detail. Provided with complete information. - On 27th June 2016, Sri Mahantesh Founder & Managing Trustee from Samarthanam Trust, Bangalore has visited the premises and assured their support in future. - In the month of August, Smt Jhansi Founder Sai Prema, Vijayawada an NGO working for Special Children visited the Disha and Vikaas centres and enquired about the good practices that are followed and appreciated. Also enquired about the National Trust projects in detail. Provided with complete information. - In the month of August, Students from College of Home Science, Acharya Ranga Agriculture University have visited and supported them with IEP and evaluations. - On 6th Oct 2016 Smt Sri Lakshmi and Smt Rajani from Rotary Club have visited and distributed the note books and fruits. - On 7th Oct 2016 Round Table club members, Guntur chapter have visited the premises and donated walkers for CP children. - In the month of November, Sister Suneela from St.Anns Mano Vikas Kendra, Guntur, an NGO for Special Children have visited the school and enquired about the National Trust projects in detail. Provided with complete information. - On 27th Dec 2016, Dr Giridhar and Dr Usha Founder Sreya Foundation, Visakhapatnam, an NGO working for Special Needs Children visited the premises and appreciated the good work and also enquired about the good practices that are being followed. - On 23rd Feb 2017, Dr Lakkaraju Kasinath garu SAKSHAM National Organizing Secretary has visited the premises and appreciated the good work done by the School. - SANGAMITRA, Guntur: Donated Dining Table sets and Steel racks and helped us in construction of our School and Vinyl flooring for all the rooms. - M/S BOMMIDALA, Guntur: Donated construction material. - HOPE4BETTERLIFE, USA: Donated RO water purifier, activity tables (wooden), thermo cool ceiling material for class rooms and play equipment. They have been supporting continuously for the last 3 years. - NALLURI ASSOCIATES, Guntur: Donated Asbestos roofing sheets and pooled few donors in completing the school construction. - JOY & JOY WALKERS ASSOCIATION, Guntur: Donated Steel Dining sets, Steel plates & glasses, Steel racks, Plastic chairs, LCD television and Steel Almairahs. - BHARAT PLASTICS, Guntur: Donated teakwood doors for therapy rooms. - MASTER MINDS, Guntur: Donated electrical equipment entirely for the School. - MITTAPALLI & CO, Guntur: Donated Computer system and Printer to the School. - VIRINCHI RESORTS, Guntur: Donated play items for Early Intervention Unit. - RAMCO ENGINEERING, Guntur: Donated Inverter to the school. - GOLDEN CA ACADEMY, Guntur: Provided financial assistance for special education material. - FUTURE KIDS, RAJAHMUNDRY: Provided financial assistance for school construction. - SENIOR CITIZENS SERVICE ORGANIZATION, Guntur: Donated play equipment and gifted hearing aids to a child. - M/s Bommidala, Guntur - Sponsoring 1 child since 2013. - M/s Siri Sweet World, Brundavan Gardens, Guntur: Sponsoring 1 Child. 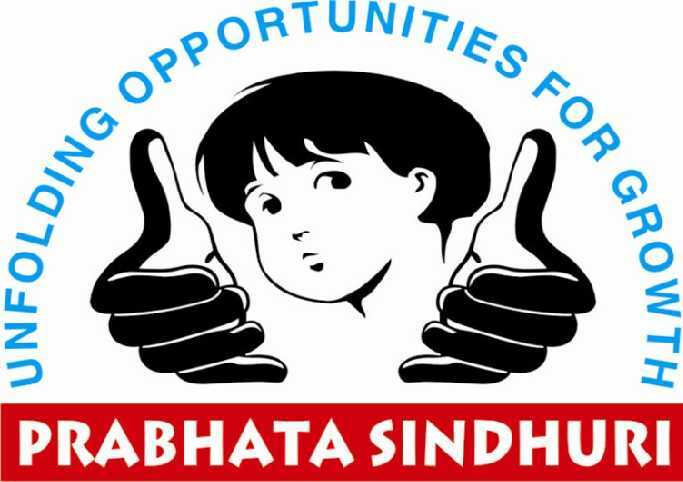 Prabhata Sindhuri Educational Society is not obliged to make refunds and may, in its discretion, decline any requests for refund of donations, particularly if a tax exemption certificate has been issued.